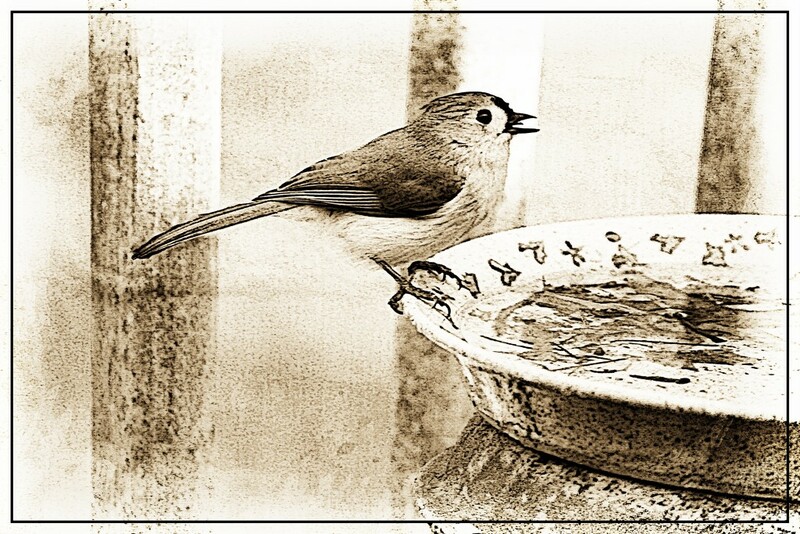 This little fellow was taking a few sips from the bird bath today so I quickly snapped a picture of him. Love those little birds! Nice processing. Fav. A lovely shot of this little bird and nice processing. A terrific job of processing -- most artistic result. I love the processing, what a sweet little bird. looking very picturesque. great edit. great capture and great processing, too. Fav. I love your processing on this. Thank you Wendy, Diane, Dione and all the rest of you who fav'd this picture but didn't say so! And thanks to all for your views and comments. It was a quick snap but a chipper little model makes all the difference! A beautiful. capture and editing . Gosh, and I thought they were rodents. @golftragic You know that's an interesting point- how did a bird get a name with a rodent built in it?